What a feast! 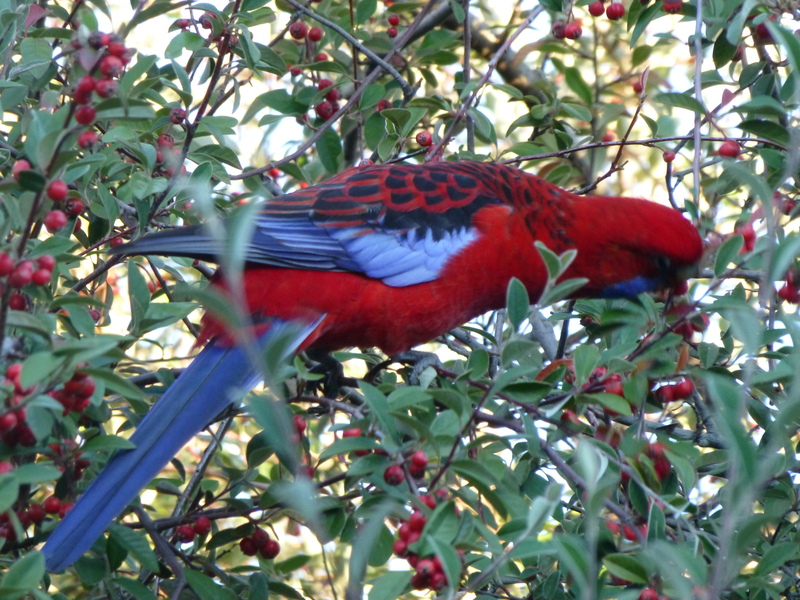 This Crimson Rosella has found for himself an endless supply of red berries! Living as we do quite close to an Australian bushland park provides plenty of opportunity to see such beautiful native parrots literally in our front garden. 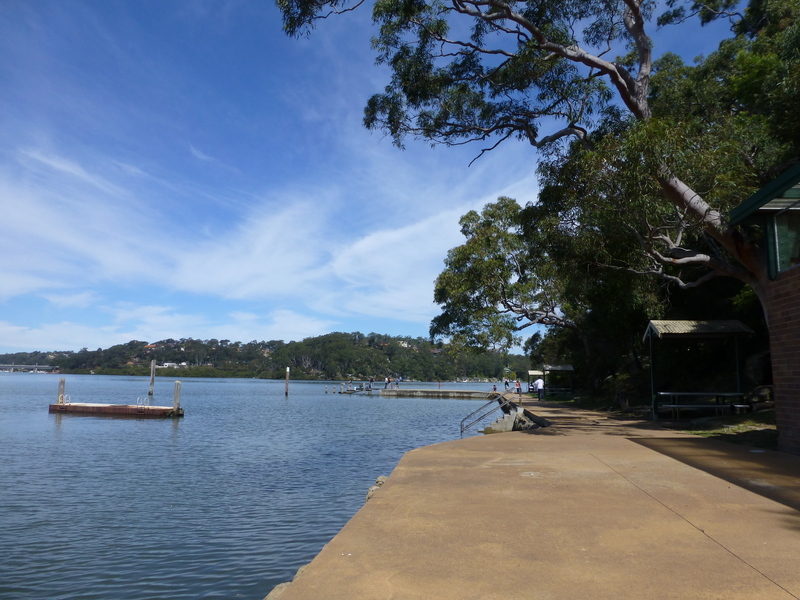 I guess it’s small wonder that Australia is known as the Land of Parrots! Ready, Set, Off I Go! 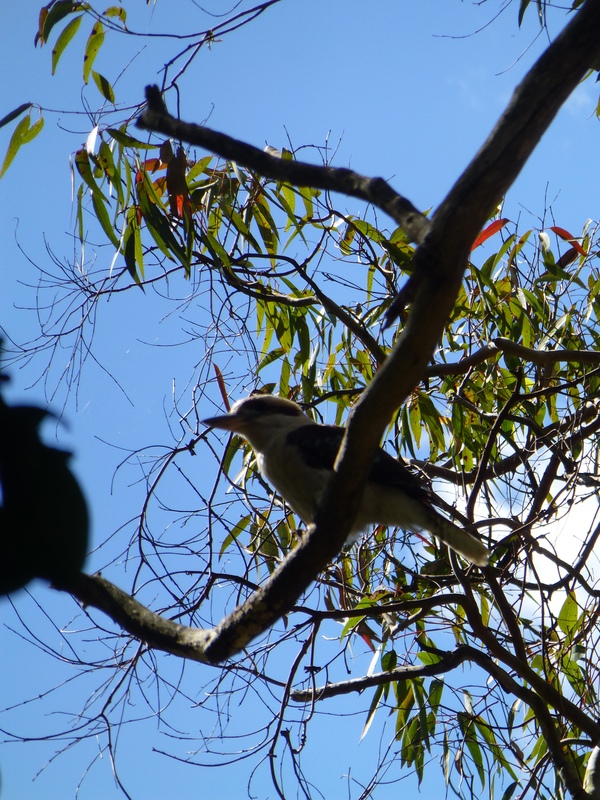 Is that what’s in the mind of this Laughing Kookaburra as if perches in an expectant pose, high in a Gum tree? Most days I’m lucky enough to see and hear one or more of these impressive birds. They are common in our local bushland park, though I’m sure that they are outnumbered by the Sulphur-crested Cockatoos. I’ve just been swimming. Though officially it’s Autumn, the weather is quite mild and the river remains warm. Add high tide, and what have you go? Perfection! 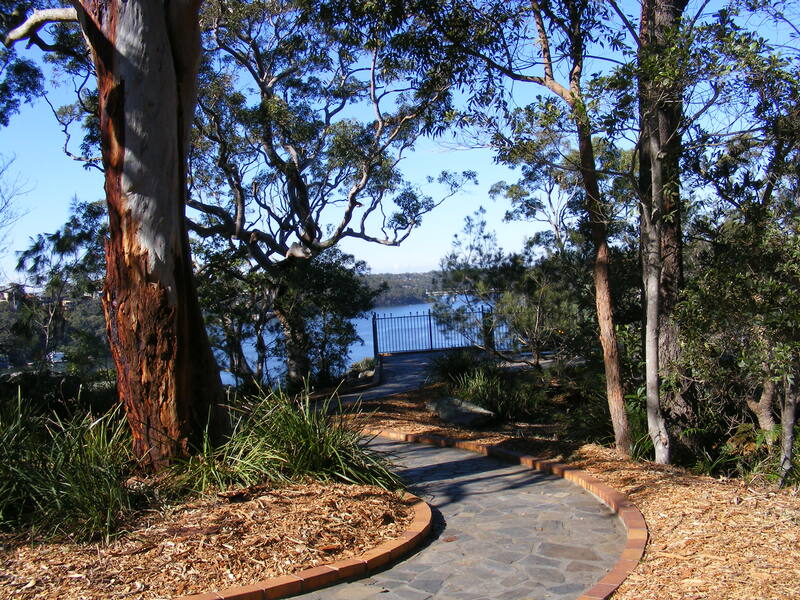 Many people bring their canine companions along to enjoy the walk beside the water, and so Chicki gets to meet and greet friends, old and new. It’s a win win situation! 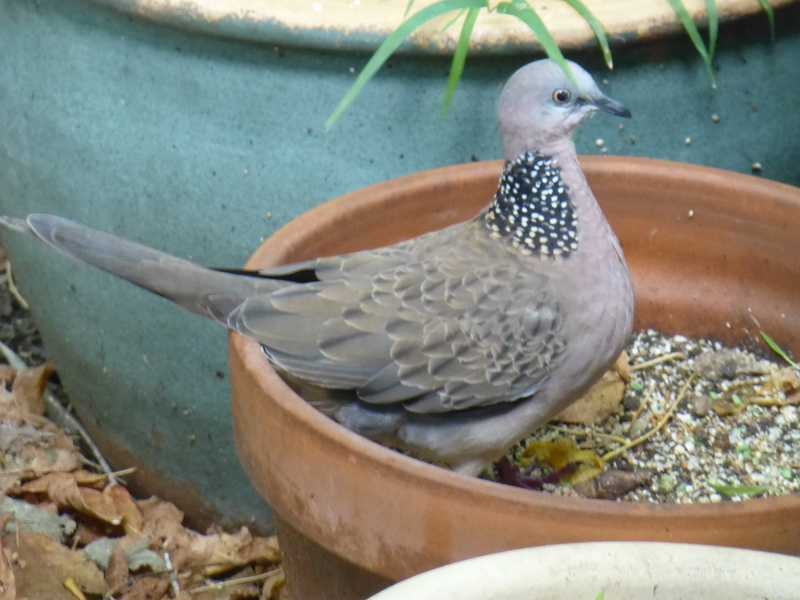 As I’ve mentioned before, a bonus of keeping Albert and Victoria (a pair of budgerigars) is the delight of seeing Spotted Doves (and occasionally, other birds) pecking their leftovers. The wild birds have discovered that I always tip the seed into a couple of disused flower-pots which are placed so that one can keep an eye on them. So often, when Ron or I look through the window, we see these charming, gentle birds at lunch. 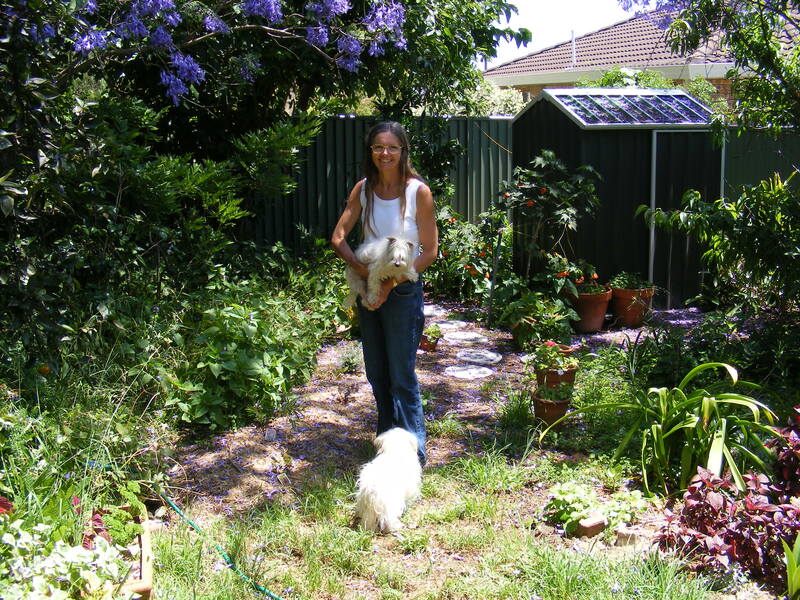 Regular readers of this blog will know of our current little white dog, Chicki. But she was not the first Maltese we have cared for. Looking back over some photographs, I came across this, taken in 2010. It shows Rosie and Trixie (and me) in our backyard. The little ones were seniors then, but pretty sprightly.